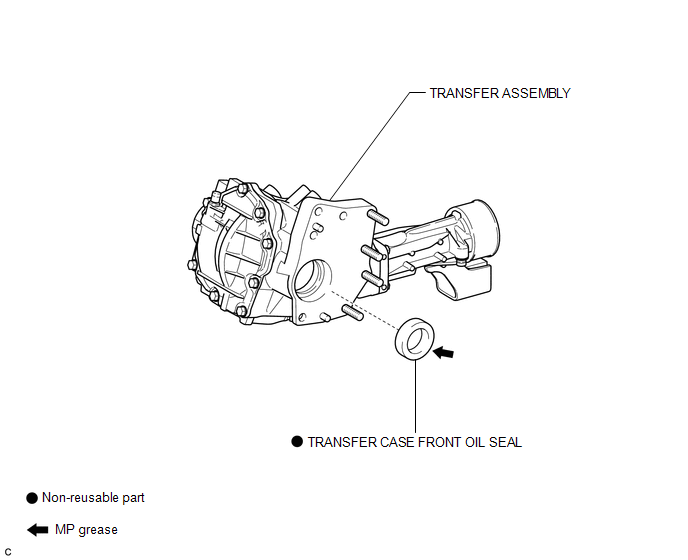 (a) Using SST, remove the transfer case front oil seal from the transfer case. Do not damage the oil seal contact surface on the case. 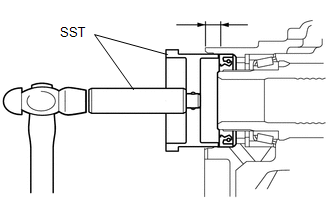 (a) Using SST, drive in a new transfer case front oil seal into the transfer case until it reaches the position shown in the illustration. 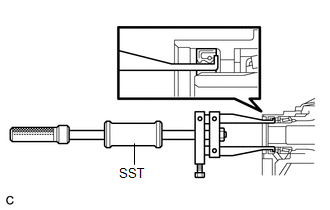 Do not tilt the oil seal during installation. (b) Apply a small amount of MP grease to the lip of the oil seal.